This unusual transparent 1939 Pontiac sold at yesterday's RM St. John's auction in Michigan for an impressive $308,000 (including 10% buyers fee). 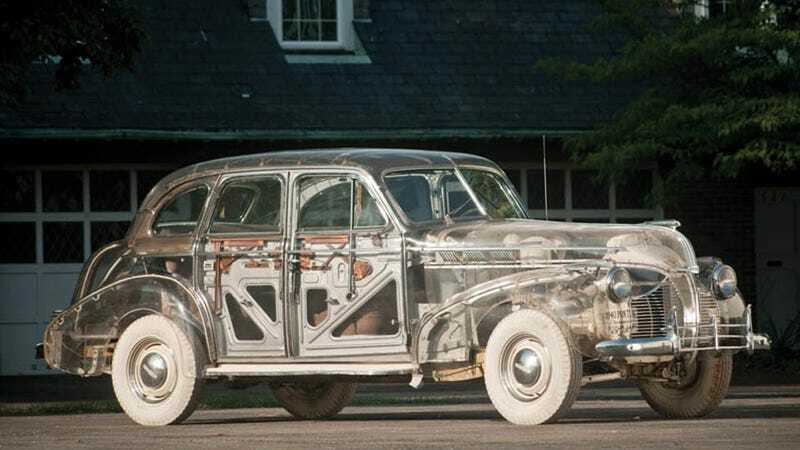 Originally constructed by GM as one of two or three transparent display cars for the 1939 and 1940 World Fairs, the car cost an unbelievable at the time $25,000 to build when new. The Plexiglas bodied Pontiac is more of a display piece than a functional automobile, but what a display piece it is.